Why on earth would you start a blog for your business? I mean, you’re already busy enough, right? So why would you want to spend another hour or five every week writing and promoting blog posts? Well the truth is, no matter what you’ve heard elsewhere, blogs aren’t dead. They’re still very worthwhile, and in this post, we’re going to tell you some of the reasons why that is. I’m going to take a wild guess and say you didn’t start your business just to make money. Am I right? Yeah, I thought so. All businesses have a need to make money of course, but we don’t meet many entrepreneurs who had money as their motivation when they started up in business. I’m guessing that like them, you started your business because you had a great idea and you knew your product or service would be of benefit to others. You were passionate about it, and had an inkling that others would be too. So, a blog is a great way to tell your story and connect with those who share the same ethics and values as you. These people are your target market – your tribe – and blogging keeps you in touch with them. If you’re regularly blogging interesting, informative, and relevant information to your audience, it will establish you as an expert. People will see you as an authority when it comes to your subject. This can lead to other opportunities such as TV and radio, or guest blog posts to reach a larger audience – and it can give you the credibility to perhaps get a book published, or to get booked for speaking events. We could all improve our writing skills I’m sure – and writing regular blog posts will definitely help you with that. You need to discipline yourself so you book out the time to write regularly – and you’ll have to learn to research things thoroughly, and organise your thoughts. 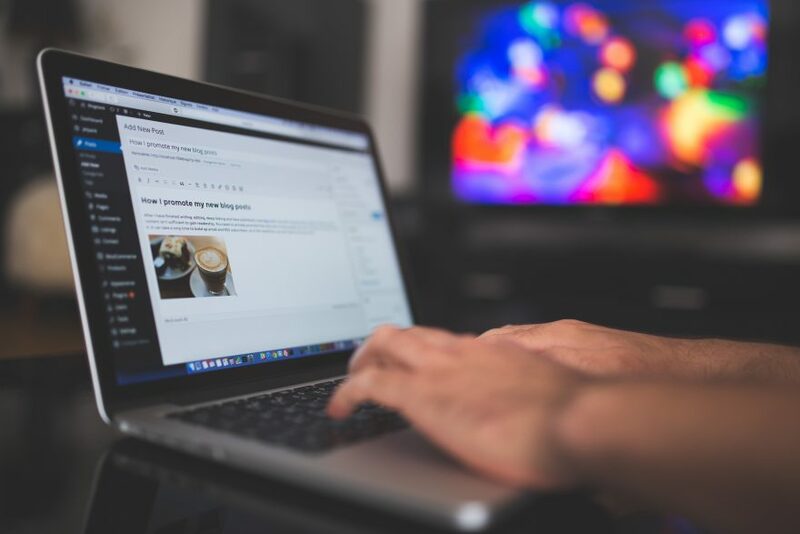 A regular blog gives you the opportunity to practice your writing skills, and that’s so important if you have a business that’s online or you want to write that book in the future to establish your credibility as an ‘expert’. Although money may not be our motivation, we could all benefit from some extra income – and passive income is even better. Once you’ve built a strong following that know, like, and trust you, you could promote products and services to that audience, as long as they are relevant and good value for money. Depending on your business you could write an e-book, write and sell courses, promote other entrepreneur’s products. However, do it right. Don’t be a snake oil salesman – only promote things that let you sleep at night and you’ll keep your reputation. So, blogging, if you do it right is still a valuable way to build an audience, establish credibility, and make money too. If you’d like to start a blog, you’ll need a great website that people can find. At Absolute Creative we work with people like you, designing beautiful and functional responsive websites, increasing their brand visibility, producing their marketing materials, and much more too. Why don’t you call us for a chat on 01707 386 107 today, or email hello@absolutecreative.co.uk and we’ll get back to you right away?